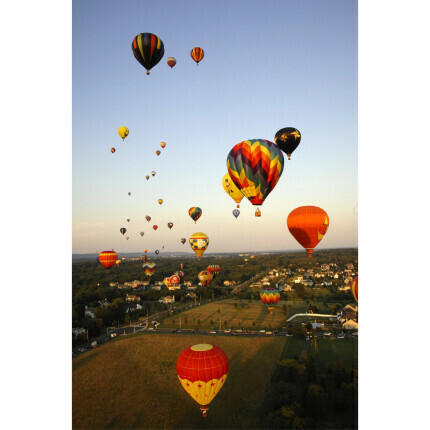 Join Michael Downey for a photo workshop featuring the annual QuickChek NJ Festival of Ballooning, the most photographed event on the East Coast! 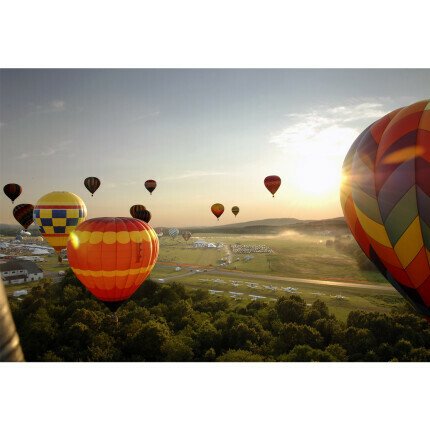 Don't miss out on capturing the breathtaking visuals of hot air balloons from around the world! Please plan to arrive at the festival by 5:15am. You may leave the Balloon Festival at any time after the balloon ride. *There are only 20 spots per day/launch, so please choose carefully. Once it gets closer to the festival, we will NOT be able to make any changes. *Tickets and passes will be handed out at the seminar. If you cannot attend, please email university@uniquephoto.com to arrange another pick-up time. *Click here for directions to the festival. * Michael Downey will be around the launch area during each launch time if you'd like to meet up with him and other registrants. Learn how to photograph hot air balloons as they're launching and while in the air on your balloon ride! Head Instructor Michael Downey will instruct the VIP registrants on different techniques and offer insight on shots to look for during the festival. 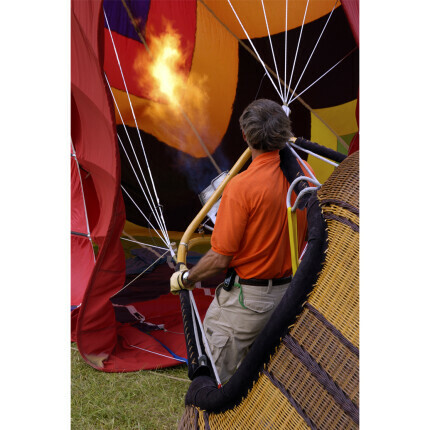 On either Saturday or Sunday morning, meet up with Michael and the other VIP attendees at the QuickChek New Jersey Festival of Ballooning. 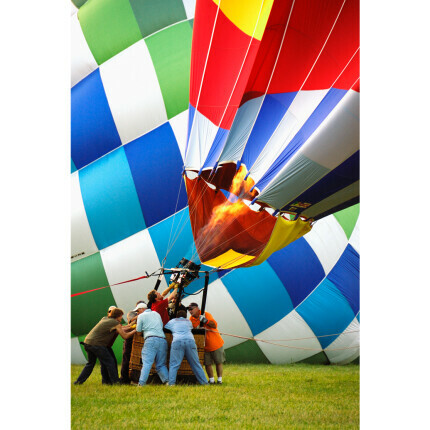 Photograph the balloons as they're being set up for launch, then go on your own balloon ride. When you return, feel free to enjoy the festival for the rest of the day! 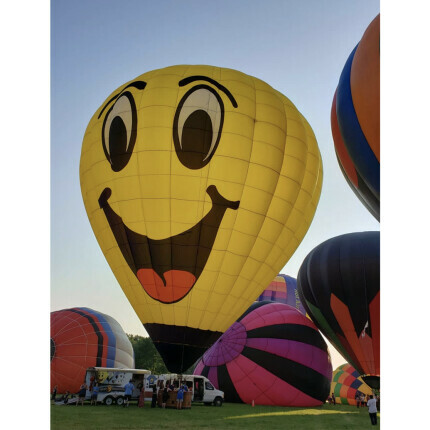 • For those attending the festival on Saturday, you will receive special "Behind the Scenes" access to photograph the Saturday morning launch and then go on your own balloon ride (6:30am). Please plan to arrive at the festival by 5:15am for check-in. • For those attending the festival on Sunday, you will receive special "Behind the Scenes" access to photograph the Sunday morning launch and then go on your own balloon ride (6:30am). Please plan to arrive at the festival by 5:15am for check-in. Each balloon ride will last approximately 20 minutes to an hour. Once the balloon lands, you will be driven back to the festival grounds in the balloon chase vehicle. The whole experience can take anywhere from two to three hours, but it will be an experience that you will never forget! Passengers should be tall enough to see over the edge of the basket (about 42 inches high), be able to stand for at least an hour, have no medical issues that may affect your ability to participate in light physical activity, and should not be too far along in pregnancy. All passengers should be sure to inform their pilot of any and all potential medical or physical problems prior to flight. You should dress as you would for any outdoor activity: loose comfortable clothing with sturdy footwear. Please no heeled shoes or sandals; sneakers are highly recommended. A light jacket or sweatshirt might be worth bringing for cooler mornings and evenings. 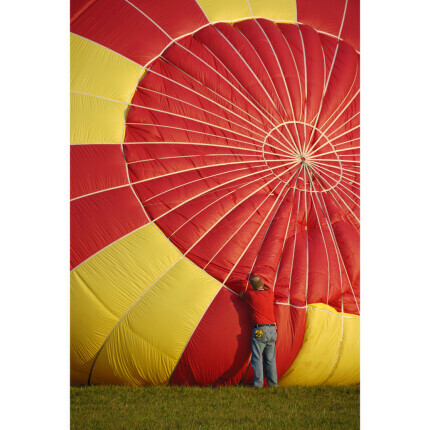 The temperature up in the balloon will be about the same as it is on the ground. You should plan to arrive at the festival and check in with the Balloon Ride Tent by 5:15am. This tent will be located adjacent to the balloon launch area. Keep in mind there may be traffic leading up to the festival grounds, so plan ahead. Please note, checking-in later than the above times may result in loss of your ride so please be on time!